Individual approach and care about every client. Click "Get Started" to find your perfect insurance plan. Oregon Trail Insurance can insure you for Motorcycle, Classic Car and Motor Homes. We also insure for RV, Boat's, Jet Ski's, and even ATV's! Send us a message via our contact page, phone call or click Get Started to get a quote. We understand that every business and industry is unique, so regardless if your business is large or small, simple or complex, we have the expertise to identify the ways to properly insure the particular needs of your business. Whether you're carrying on the tradition of a small family farm, or realizing the dream of starting your own farm, insurance coverages are tailored to meet your property and liability exposures. Fast and easy auto quotes. Get an Instant Farmers Quote. Get an Instant Renters Quote. 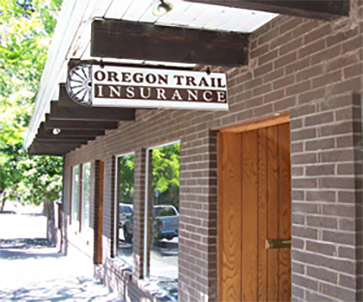 Based in The Dalles, Oregon Trail Insurance is proud to serve the insurance needs of Oregon and Washington. Let us help you find the right auto, home, life and commercial insurance to meet your personal needs. Contact us now for quick, competitive quotes! Quick Comparative Quotes! Talk with us today. We have the best local service – since 1986! Call 541-296-2395 or email us for a complete, personalized quote within 24 hours.